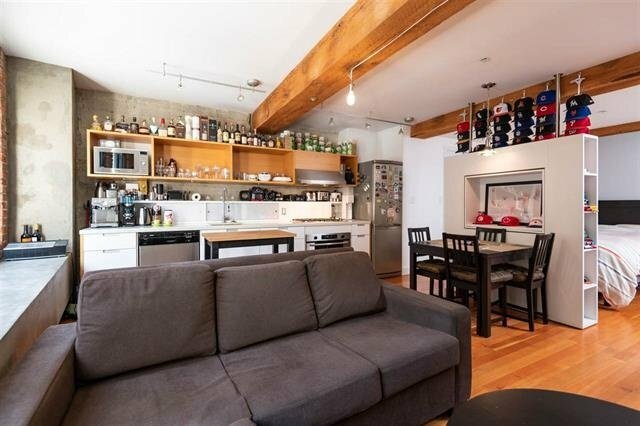 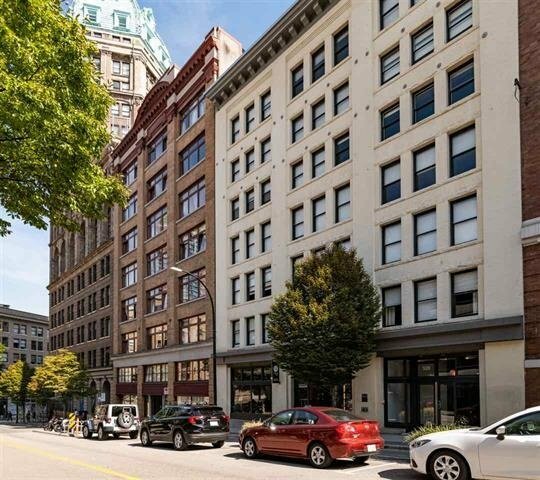 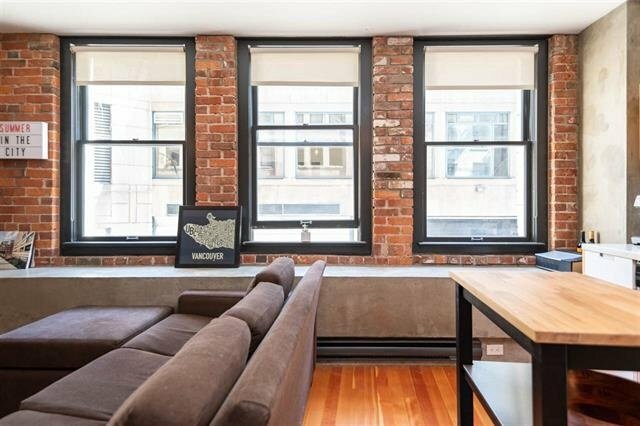 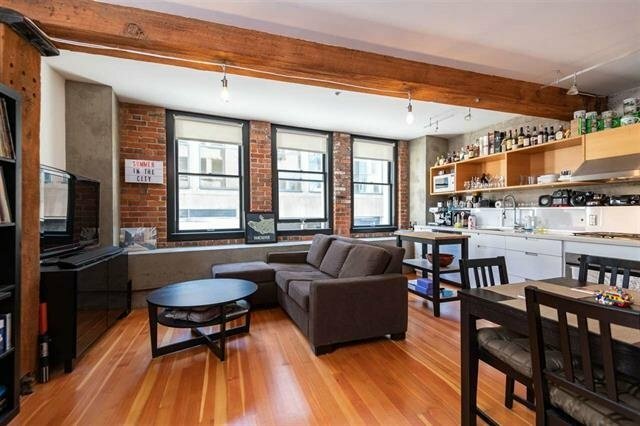 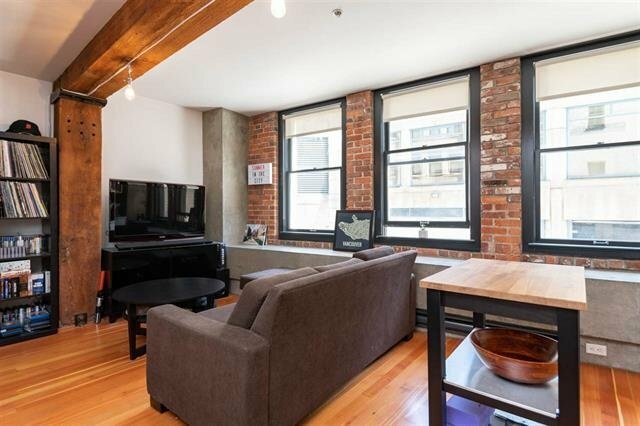 The Bowman Block is a sought after heritage conversion, completed in 2007 by the Salient Group, which combines the rustic warmth of fir wood floors, exposed beams and brick with sleek contemporary kitchens and bathrooms. 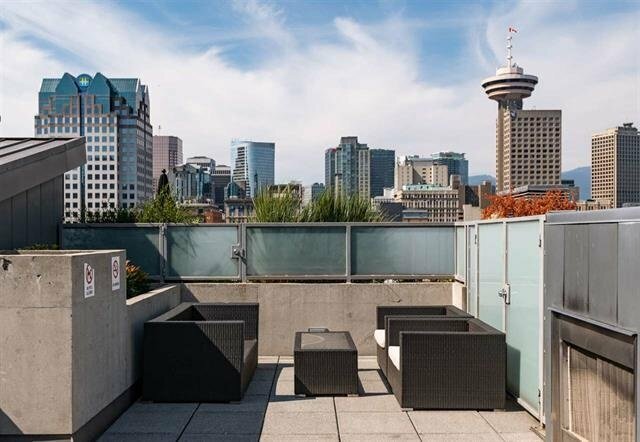 This 731 sqft studio has excellent separation from the living area to the bedroom area complete with a entertainment centre with a swivel TV. 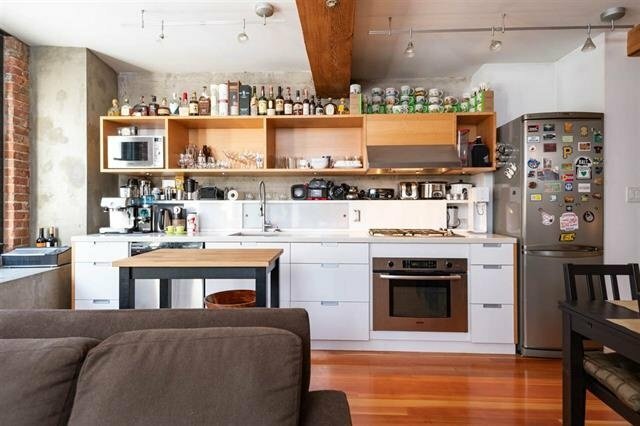 Kitchen features Bosch appliances with a gas-cooktop, Blanco fixtures, topped off with Quartz countertops and resin European style cabinetry. 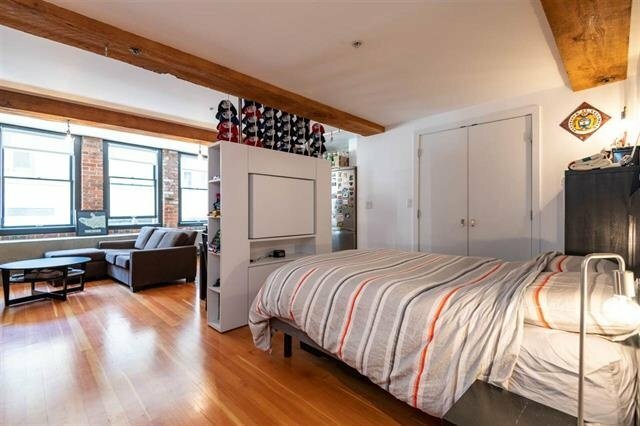 Lots of in-suite storage and bike storage on the same level as the apartment. 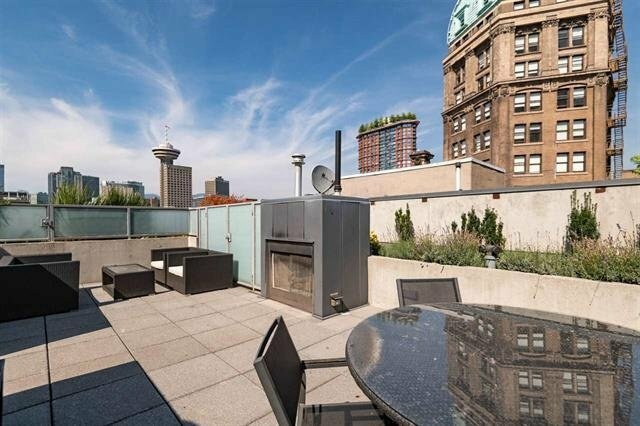 The common roof top deck has a BBQ, gas fireplace and wonderful sitting area to enjoy the outdoors.